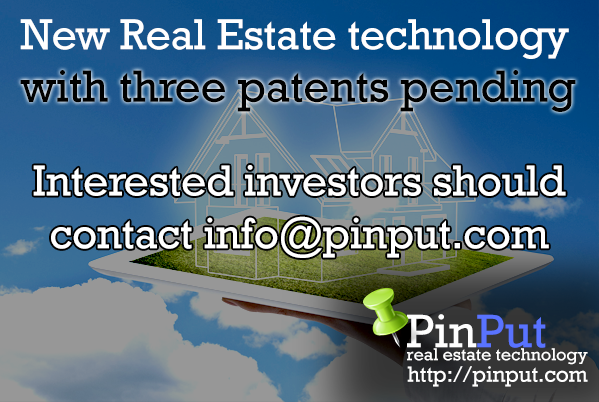 PinPut, LLC may be seeking investor(s) for some new patent pending real estate technology. The technology is complete with 3 patents and more on the way. The technology was written by ex-Microsoft engineers. We are confident that this technology will be very disruptive in not only the real estate industry, but other verticals as well. Pinput has interviewed many real estate professionals, lenders, and consumers to find out the pain points in this industry, and thus solve them. We will continually be updating the site in the upcoming months with new and better features. We've taken our technology and created an entire services layer to our real estate technology.